What To Wear To A Golf Tournament | Gina Miller's Blog - A working mom's blog about fitness, travel, handbags & beauty. Click on any item to get details on it! Golf season is here. The PGA Tour makes two stops in Dallas/Fort Worth in May with the Dean & Deluca Invitational May 26th-29th and the AT&T Byron Nelson May 19th-22nd. I'm thrilled to be moderating the PGA Tour's Executive Women's Day panels at both tournaments against this year. I am constantly asked what to wear to a golf tournament. When it comes to dressing for these events, consider style and comfort. You will be walking a few miles in the sun. To that end, you need wear comfortable shoes and lots of sunscreen. Those are key factors to enjoying a day on the course. RELATED: What to wear to the PGA Championship. RELATED: Shoes to wear to a golf tournament. Comfort does not mean you have to sacrifice your style. You can go dressy or super-casual and still look great by using the two looks you see here as inspiration. Keep in mind PGA tournaments have specific rules on what you can bring onto a course, including purses and bags. Here's a list of the PGA Tour's prohibited and permitted items. Check out my purse policy page for more bags that fit within the PGA Tour AND NFL's purse policies. I own this Barrington Gifts Crossbody! Perfect for any sporting event. Comes in thousands of team color combinations! 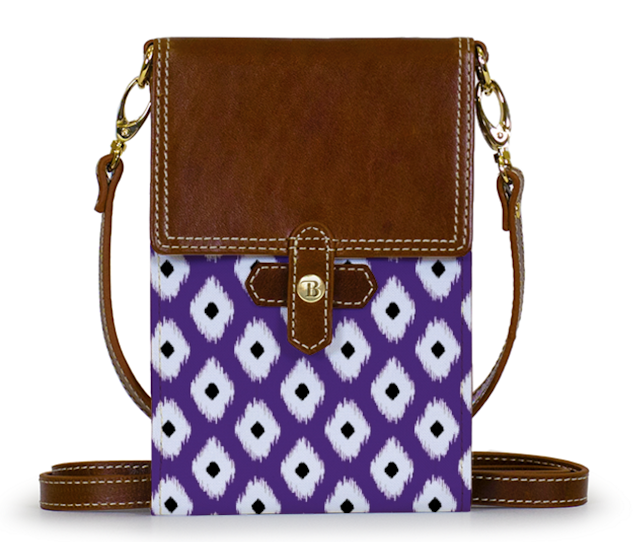 Barrington Gifts Stadium Crossbody is the perfect bag for golf tournaments, football games and any other sporting event. It fits perfectly within any purse policy. Click HERE to see my review of the bag. A cell phone that is NOT on vibrate. Your phones MUST be in silent mode. Sign up for my Friday Cheat Sheet and get the weekend's best sales as well as news and notes to help you get the most out of your weekend. What Do YOU Want To See Gina Cover On Her Blog?